A loan of $325 helped to purchase construction materials in order to provide his family with a safe home. Oscar is a hard-working, 40-year-old man. He lives with his three children and his partner in the town of Chuquibamba. He earns a living as a construction laborer at the diverse projects in his town, always seeking to stand out for his good performance. 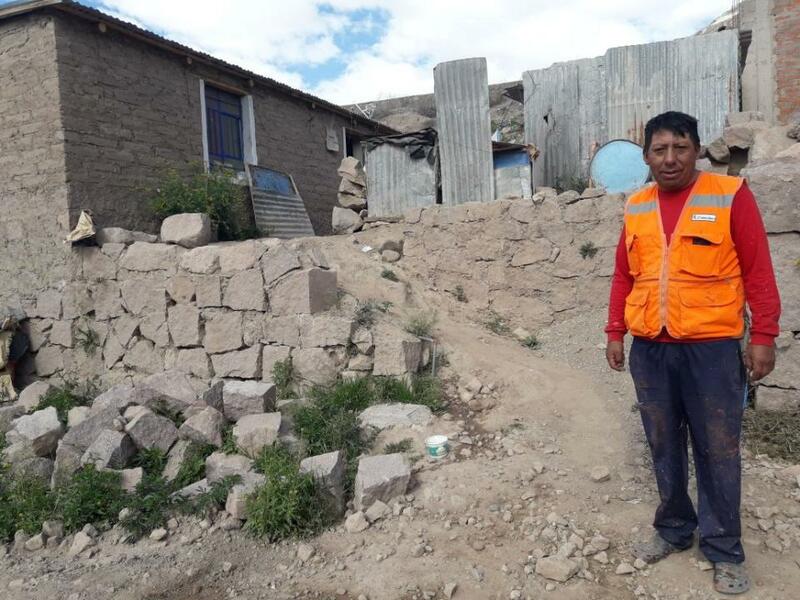 He is requesting a microloan to be able to purchase construction materials in order to provide his family with a same home. In the future, Oscar hopes to be able to improve his financial situation and provide his children with a good education so that they manage to become professionals. Oscar es un hombre trabajador de 40 años de edad, vive junto a sus 3 hijos y su pareja en la localidad de Chuquibamba. El se dedica a trabajar como obrero de construcción en las diversas obras de su localidad buscando siempre resaltar por su buen desempeño, solicita el micro crédito para poder comprar materiales de construcción para brindar una vivienda segura a su familia. Oscar espera en un futuro poder mejorar su situación económica y brindar una buena educación a sus hijos logrando ser profesionales. Expands access to financial services for rural clients. This loan product focuses on clients from rural areas that exclusively borrow from Fondesurco. By targeting exclusive clients Kiva can help mitigate the risk of over-indebtedness, and concentrate on those clients who may have less options and opportunity than others. Fondesurco is a non-governmental organization that works closely with clients in the rural regions of Arequipa, Moquegua and Ayacucho in Peru. Along with prioritizing rural communities, the organization has a strong commitment to environmental sustainability and conservation. Kiva supports Fondesurco’s work to enable access to clean energy with the goal of increasing economic, social and environmental well-being and health of small and micro-sized businesses in rural areas of Peru.